← Blendabilities Are Coming Soon! 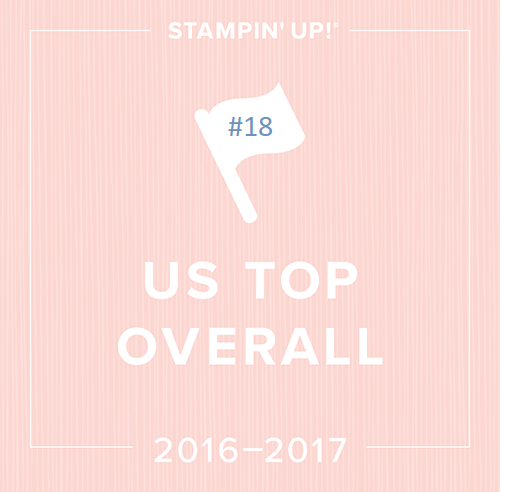 I have officially mailed out the NEW 2014-2015 Stampin UP catalogs to all who have requested one here on the blog or otherwise. I mailed them all out on Monday, so if you have not received yours by today, please email me! Over the years I’ve learned about 5% never make it. Those of you I’m seeing this week, you will get yours in person. Sometimes I look through the stamping and papercrafting, save a few for inspiration. Sadly, this one had no name or watermark on it, as it often happens on Pinterest. I loved the color combo of Chocolate Chip, Cherry Cobbler and So Saffron. We don’t have the eyelets or that stamp anymore, but I made my own version of it. I used the stamp set in the Occasions catalog called So Very Grateful, which will not be carrying over into the new catty so if you want it, get it before June 1st. Pansy Punch for the flower, Bird Builder punch for the leaves. We have a super cool new DSP coming out in the new catty called Typeset – thin newsprinty paper that will be SO useful for lots of projects. Thank you for the inspiration, wherever you are! Super cute, I bought one. Cake measures 1″ wide x 1-3/4″ tall to give you an idea of size or you can print the flyer HERE for true size. To see them full size, go HERE. This entry was posted in Photopolymer Stamp Sets, Swaps & Inspiration, Weekly Deals and tagged photopolymer stamps, pinterest, stampin up on sale, Stampin' Up!, stamping, weekly deals. Bookmark the permalink. Beautiful card, Linda! Thanks for sharing your “pin”-spiration! 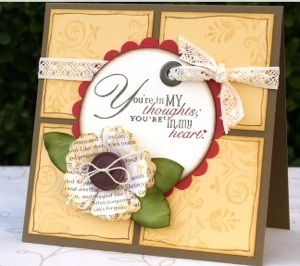 Love your card makeover! I will be pinning your card to make it myself!